The Medical Marijuana Of Hawaii is situated alongside the fine Jimenez Ewa Beach Foundation Medical Clinic and their sole purpose is to make sure that all of their patients are properly registered in accordance to the Hawaii Narcotics Enforcement Division to ensure that they are able to fine the peace and solace of mind whenever they are going to bring themselves to using Marijuana as an alternative way of treatment. The humble staff and physicians that comprises the Medical Marijuana Of Hawaii are people who are vastly experience In their respective fields (Over three decades), and include physicians who are specifically trained in Pain Medicine and Cancer Surgery. 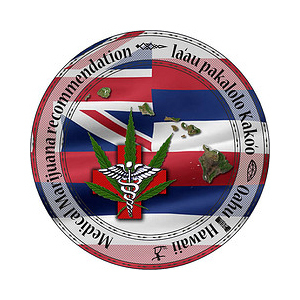 Here at Medical Marijuana Of Hawaii, the physicians take their time and care to ensure that you are able to feel comfortable when sharing your woeful experiences with them and allow them to properly assess what kind of strain might be the most suitable one for you! Some of the more common ailments that are treated thanks to the usage of Alternative Medicines include Sever Pain, Muscular Spasm as well Neuropathic Disorders. Don’t wait anymore and hurry up to join the family here at Medical Marijuana Of Hawaii, to let go of your worries and change your life, one medicine at a time.